ADMISSION: $120 per person inclusive of sales tax and gratuity. BOOK TODAY! or by phone at 973.315.1707. Limited seating available. Prepaid reservations only. One seating only at 6:30PM. 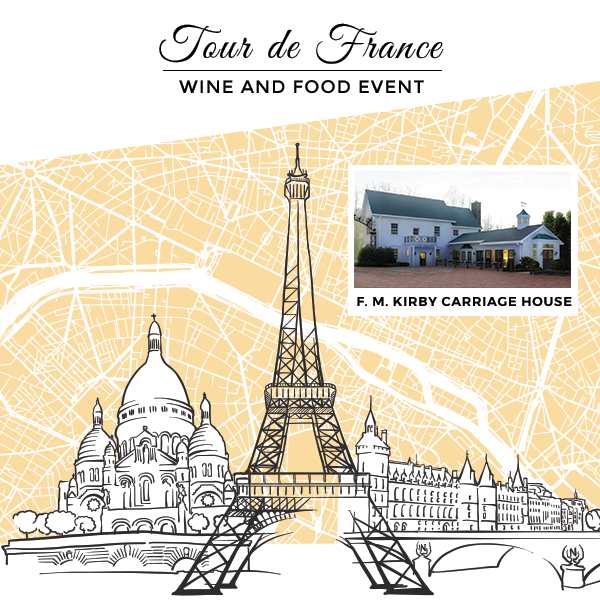 Join the peloton for a seven-course tasting menu featuring food specialties and wine pairings from this year’s Tour de France parcours.